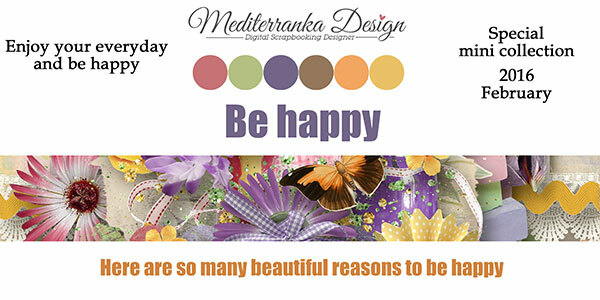 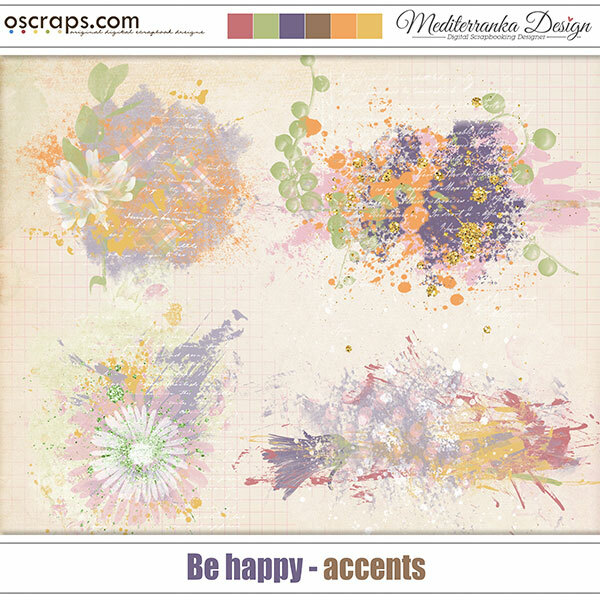 Mini collection ''Be happy'' is created in the bright colors of happiness - orange, purple and green. 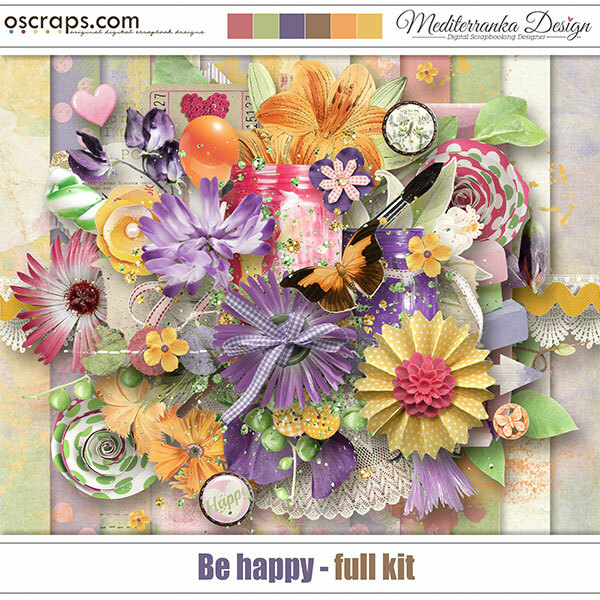 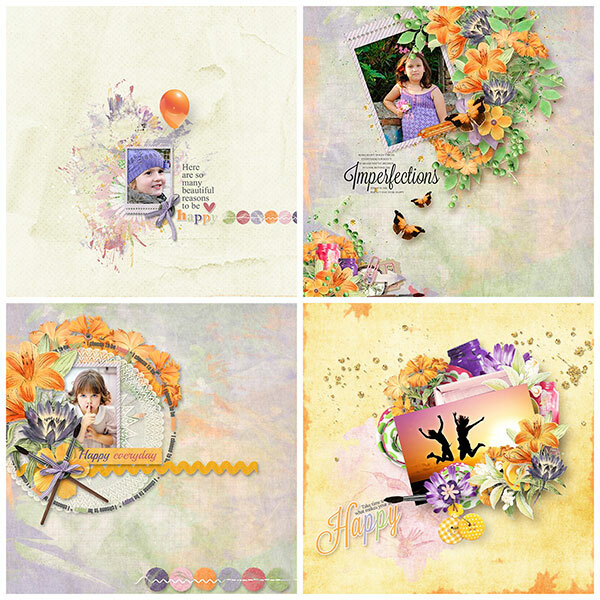 My blog subscribers already have the kit - it was shared as exclusive gift last year. 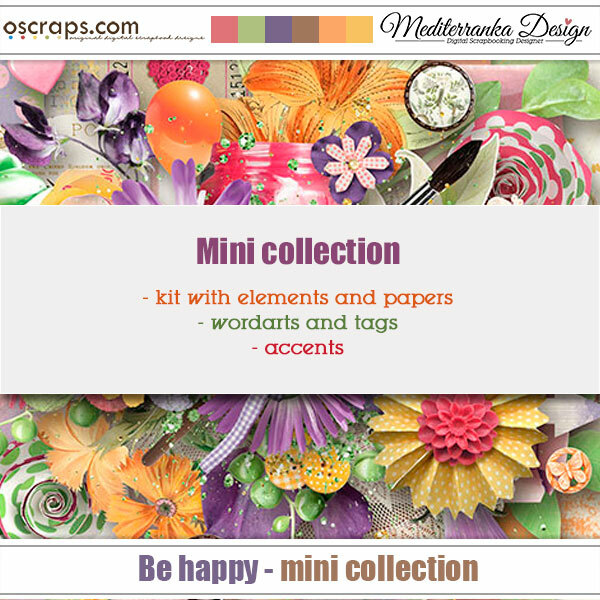 But if you want to complete your collection by accents, you are welcome to my store at Oscraps.